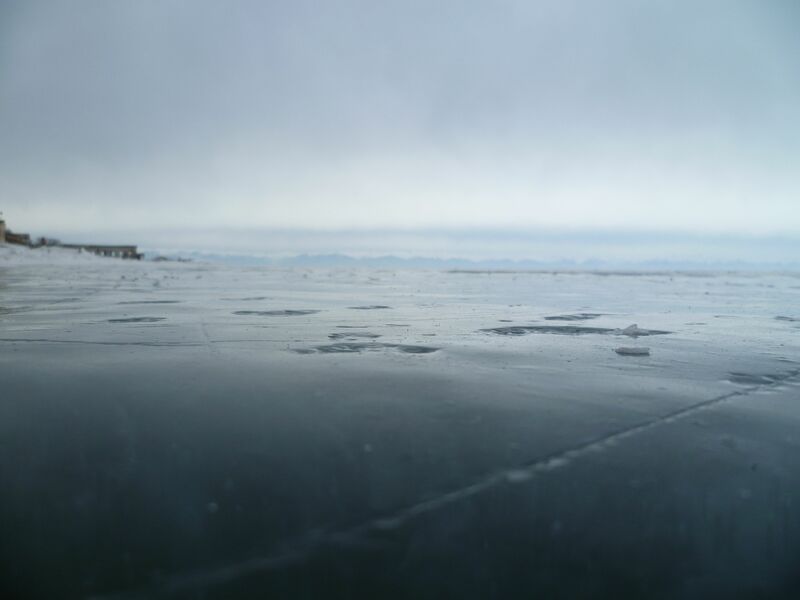 We leave the train station and head straight for Listvyanka, a little village on the shores of Lake Baikal. I spend the night and my guide picks me up at 10am the next morning. We have a little conversation about how to modify my itinerary since I lost a day with the train snafu. I explain to her that I really have only four more goals and she quickly pulls together a plan for accomplishing all of them. 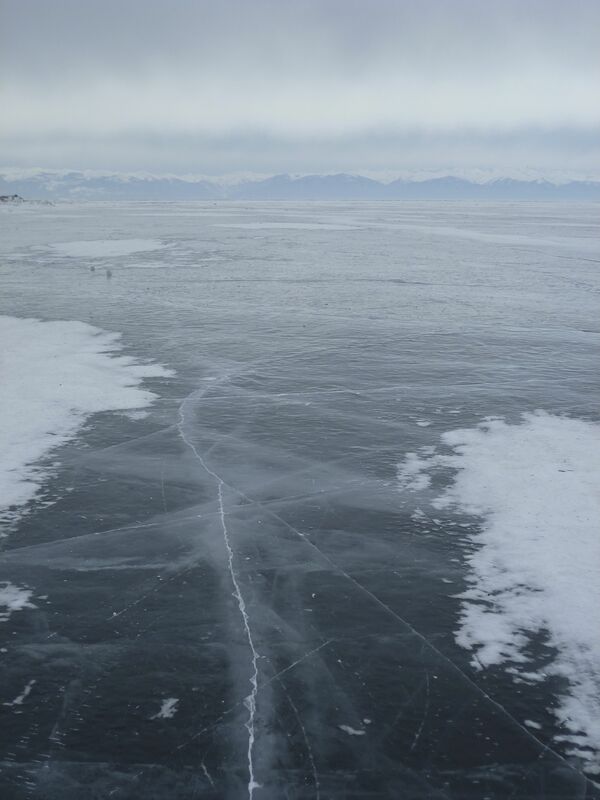 First thing we set off for the lakeshore and step out onto the transparent ice. It looks black from afar, but it is good and truly transparent. 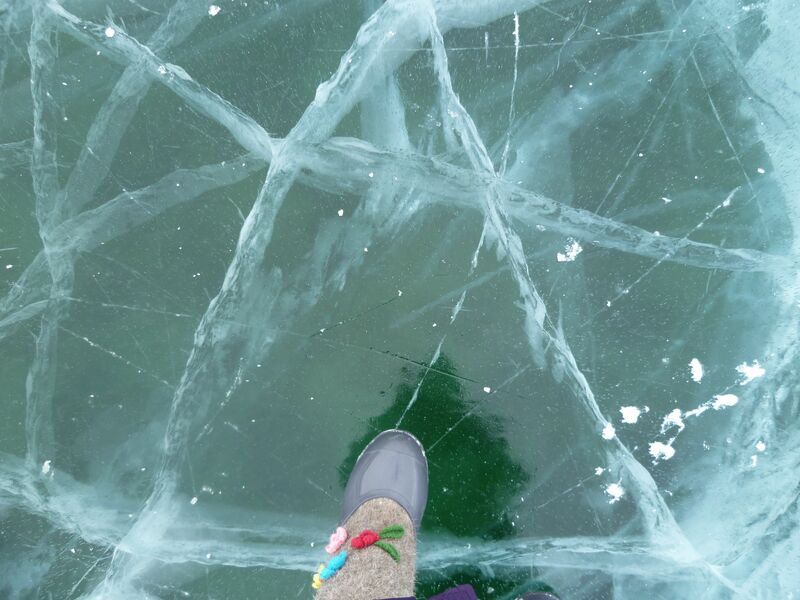 Walking on the ice is peculiar—you can see the lake bed underneath you but at the same time you’re not falling. The guide was getting cold, but she knew how important this was to me so she went back to the car and told me to take as long as I wanted. I just couldn’t stop staring down. 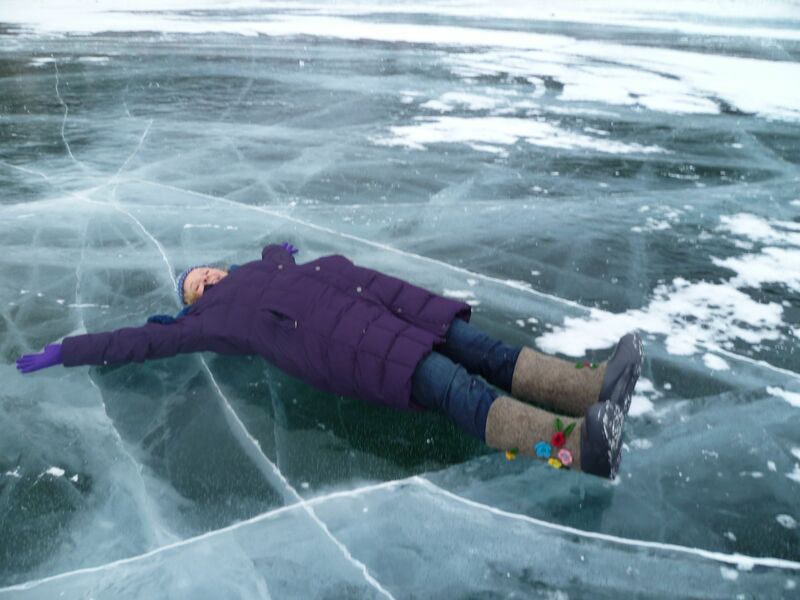 I crawled around, I laid on my stomach, I even pressed my nose to the ice. 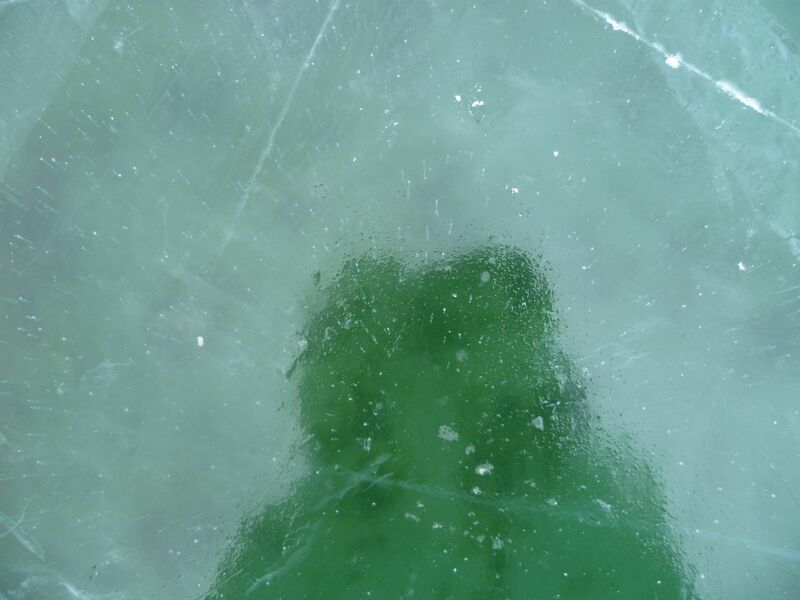 The photos I’m posting here don’t do the ice justice; with so much transparency, reflection, and shadow I think this is truly a job for a professional photographer. 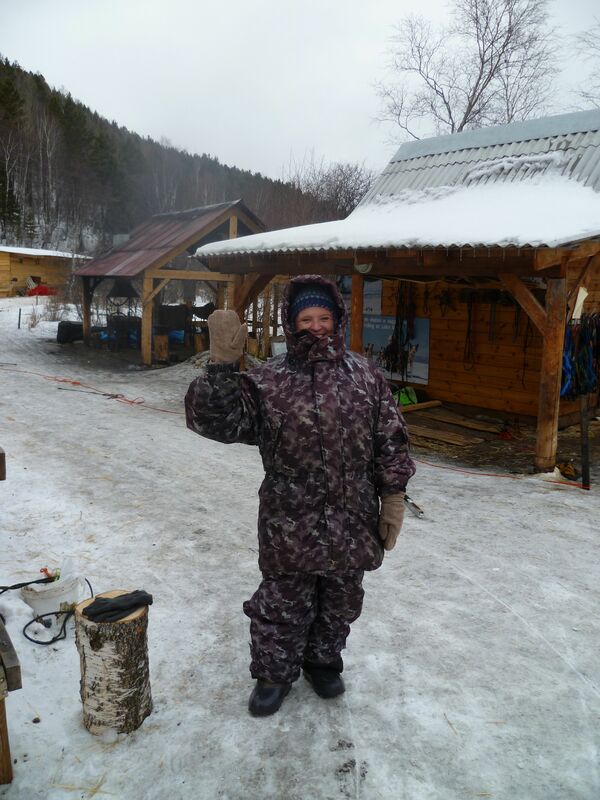 Then we set off for the Baikal museum. I feel a little sorry for this museum and the schoolchildren who are forced to visit it. You have to endure six of seven rooms of thoroughly uninteresting exhibits until you get to the good stuff. Here is the golomyaka. 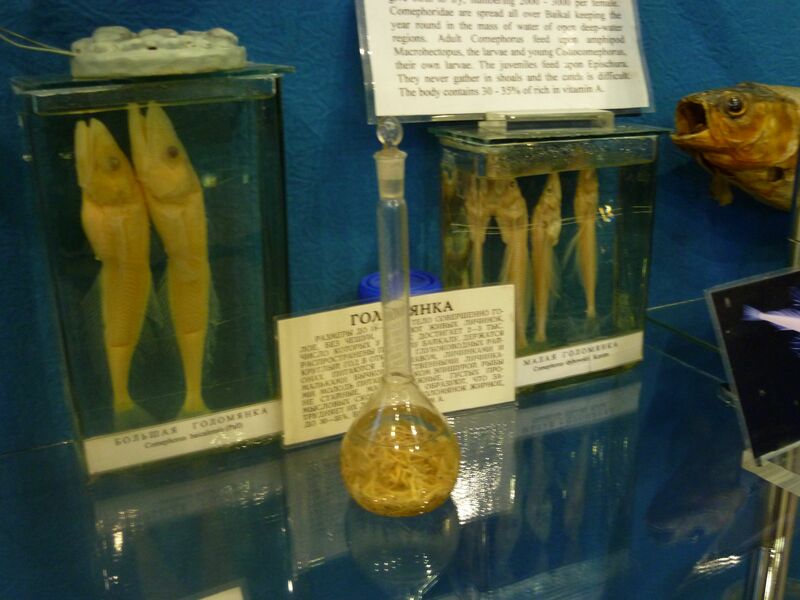 It’s hard to tell from the photo (I mean, it’s preserved in formaldehyde), but this fish is ordinarily transparent. Plus, about 40% of its body weight is oil. 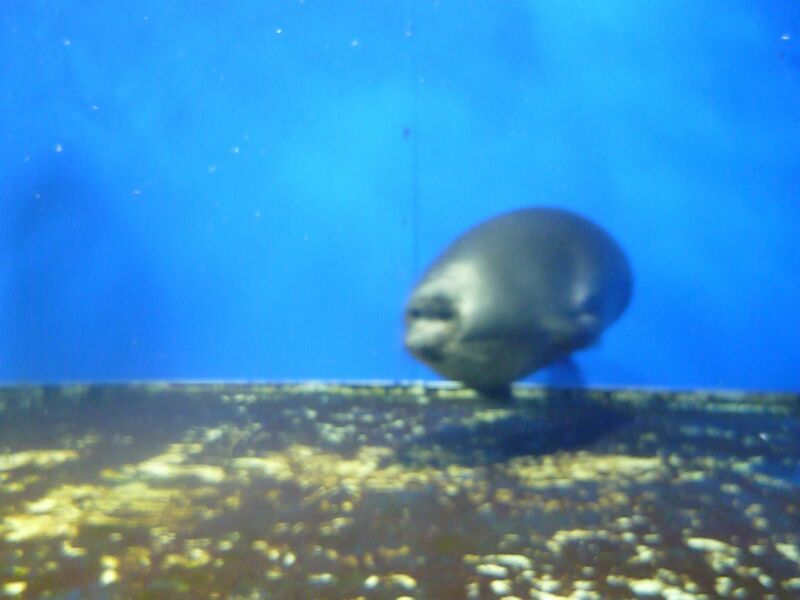 When exposed to light, this fish just melts. 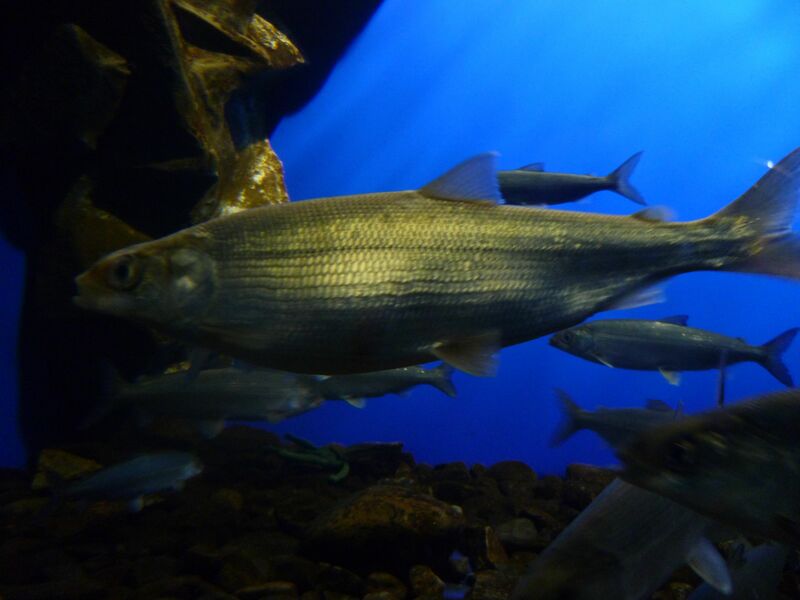 Its ecological competitor, and the region’s most popular fish, is the omul. 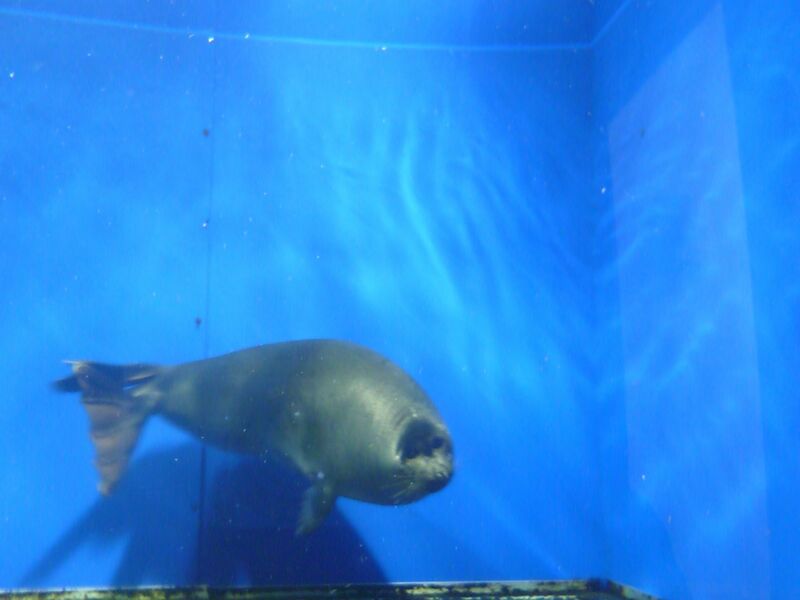 It is seen here actually swimming in a tank! Not preserved! The last exhibit is the reason anyone comes to this museum at all: the nerpa. 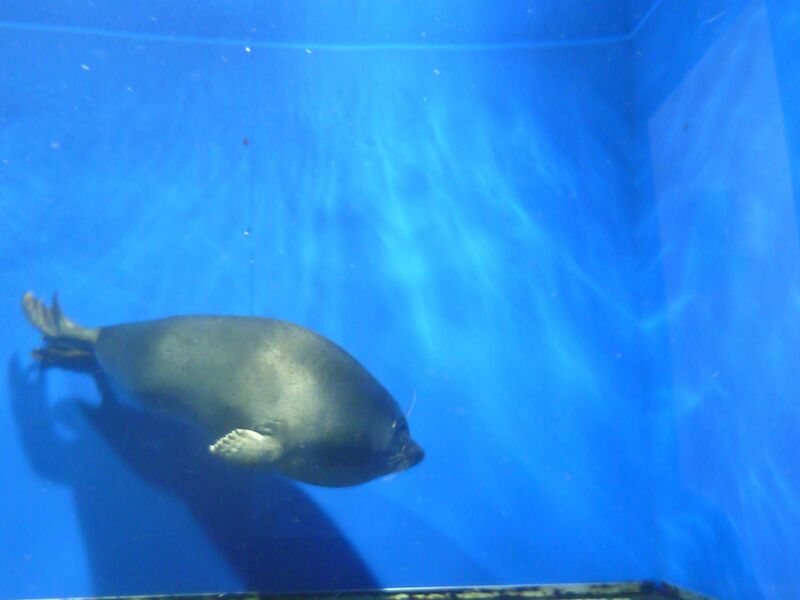 We saw a female one and she was quite sprightly, zipping to and fro in the tank. This made her very difficult to photograph, so this is the best I could do. She how adorable she is????? Looking at fish made us hungry so we headed off for lunch to eat, what else? Omul. Now I have tasted it. It tastes like fish. It’s perfectly fine. Onward. After the dogs expend their initial burst of energy, during which the sled goes very, very fast, the instructor stops the sled and has me do the standing and he does the sitting! In fact, for most the the 10km run, it’s me that’s driving. 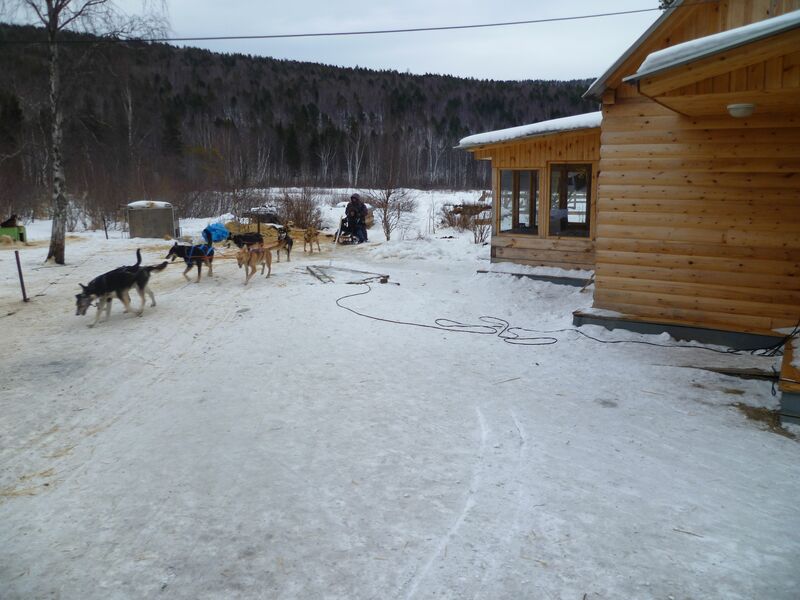 Yes, *I* drove 8 dogs through the Russian forest! I should probably mention that this would never be allowed in the U.S. without serious modifications. 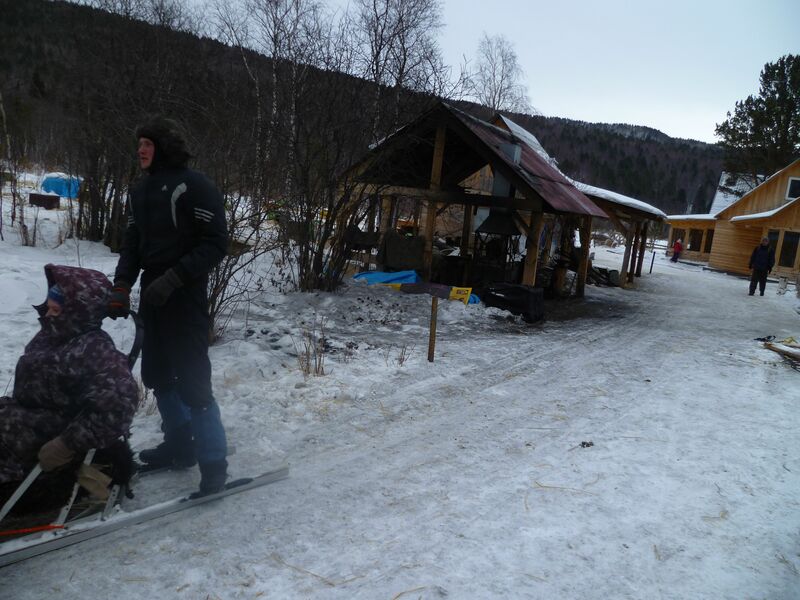 Only in Russia can two guys with 50 dogs run a sledding business with no helmets or waivers of liability. Here I am coming in at the finish. That’s me standing. Did I mention that I drove 8 dogs? Next, the Iditarod!! I loooooved this!! I laughed and laughed. Gosh, you’re such the adventuress!! That had to be great fun. Soooo glad you got to experience it. I saw a guy on The Loop on rollerblades pulled by 2 chihuahuas. 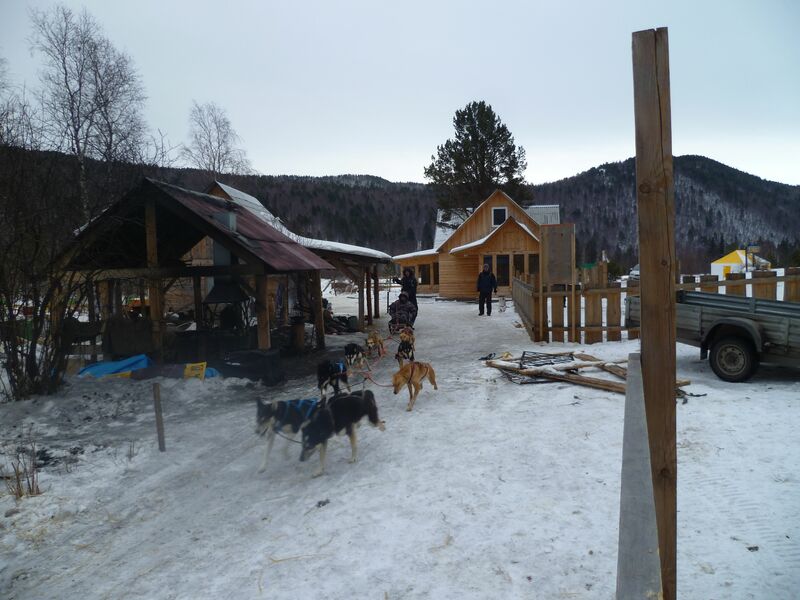 Was dogsledding like that? 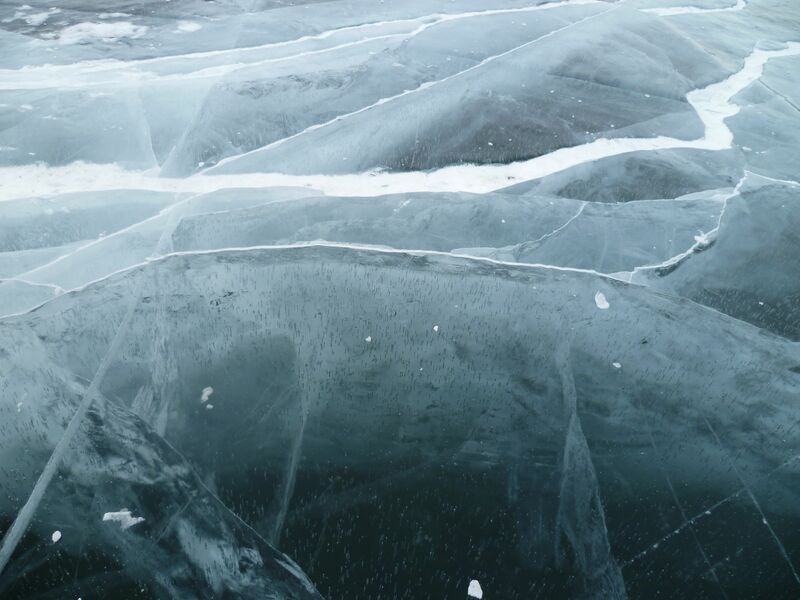 Those pictures of the ice are amazing. It;s hard to tell if they were taken from a plane, from a rooftop, or from a squatting position. One of those places where the world is so different from anything I’ve seen there is no reference point, no sense of scale. Cool little nerpas with their little squishfaces! Better binocular vision, better depth perception?